One San Benito County Sheriff’s deputy has been going to work for almost 15 months without a proper body armor vest for dangerous situations. But thanks to the Gavilan Kennel Club, Sheriff’s deputy Matt Soto and his K-9 partner Deputy Dix, a Czech-born, 2-year-old German Shepherd, will worry no longer. The pair was presented with a K-9 armor vest fitted for the dog at the San Benito County Board of Supervisors meeting Tuesday morning. Deputy Dix, an expert in narcotics detection, will have plenty of situations to use his new vest. Joe Pendry donated the K-9 armor on behalf of the Gavilan Kennel Club at Tuesday’s meeting. 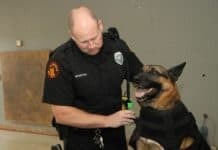 Sheriff Curtis Hill said the sheriff’s office and the club have had a good relationship through the years with different dogs and handlers as part of the K-9 unit. Pendry said at the meeting. But San Benito County Supervisor Anthony Botelho voiced one concern in accepting the donation. “As he gets older he’ll have a tendency to gain a little weight,” Botelho said. “Anthony, you’re going to have to speak for yourself,” Hill responded. Under the California Penal Code it is a felony to harm a law enforcement dog. It is also a misdemeanor to harass or tease a law enforcement dog, said Hill, and the sheriff’s office has arrested suspects for doing so. 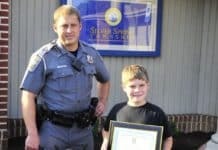 Although Hill has never seen a deputy dog killed on-duty, he has seen a suspect attack a dog without a firearm. “Of course the dogs win,” Hill said. Hill said Deputy Dix is an integral part of the sheriff’s office. Soto often brings Deputy Dix in to sniff out drugs on vehicle stops, warrant searches and even jail inspections, Hill said. Deputy Dix is trained in the detection of odors for marijuana, methamphetamine, cocaine, heroin and ecstasy. Police dogs are also used to find suspects that may be hiding from deputies and to disperse crowds, according to Hill. Deputy Dix is responsible for many suspect arrests, Hill said. Soto trains Deputy Dix twice a week wearing the K-9 armor to help him adjust to the change. When he first wore the K-9 armor, Dix didn’t want to move, Soto said. The added protection makes for good peace of mind, Hill said. 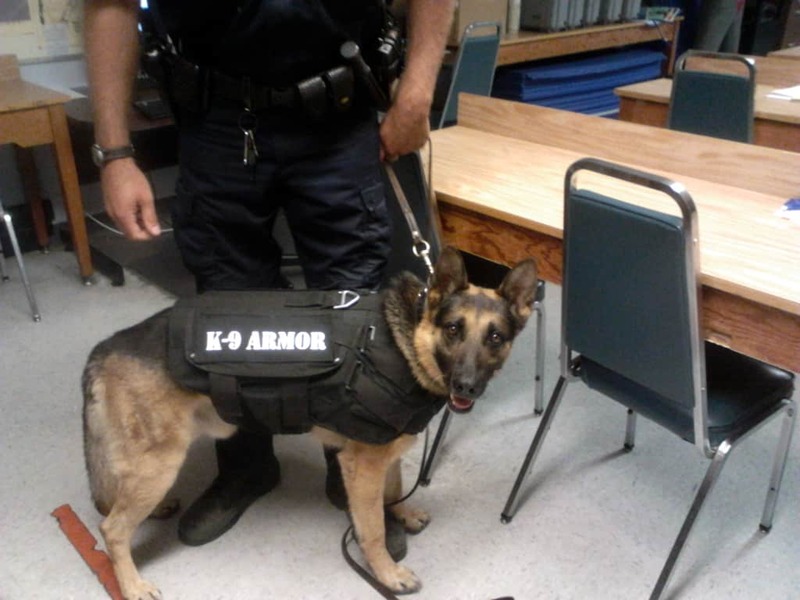 “When I have to wear my vest I like for the dog to be protected too,” Soto said.